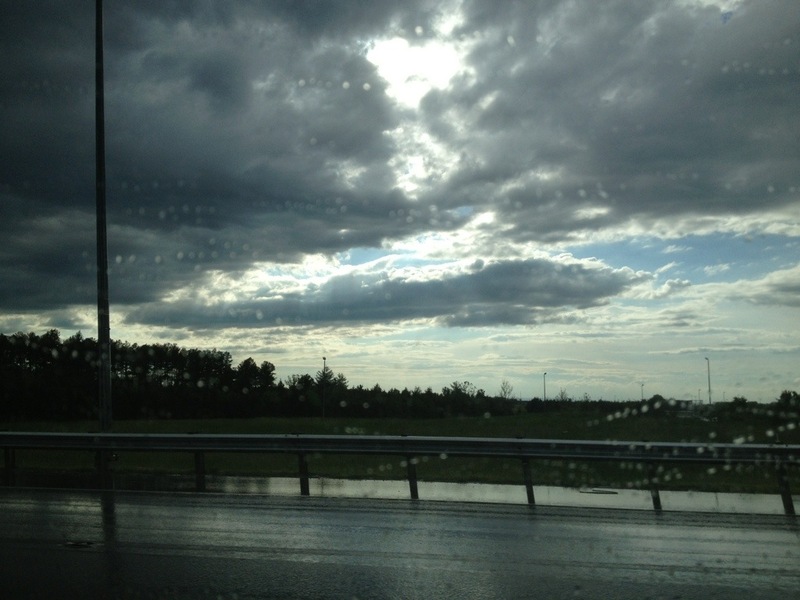 Photograph was taken by my iPhone 4S of the dark, stormy sky Saturday, May 11, 2013, on the road from Ashburn, Va., to Centreville, Va. This hit single by Stevie Wonder, is from his 1973 album Innervisions. The song is very bouncy and its lyrics carry a message that focuses on the positive and taking things in stride. Well, today is Stevie’s 63rd birthday and I thought it was appropriate to discuss what this song means to me these days. I am one who values my true, through-thick-and-thin friends. It’s wonderful to have people in my life who know me and who I know so well that we can finish each others’ sentences or fill in the blanks when it’s silent. They know just when to call, email, hug or grasp my hand. No words necessary. This Stevie song is especially for those friends. I don’t EVER want my friends to think they’re alone in the dark times. 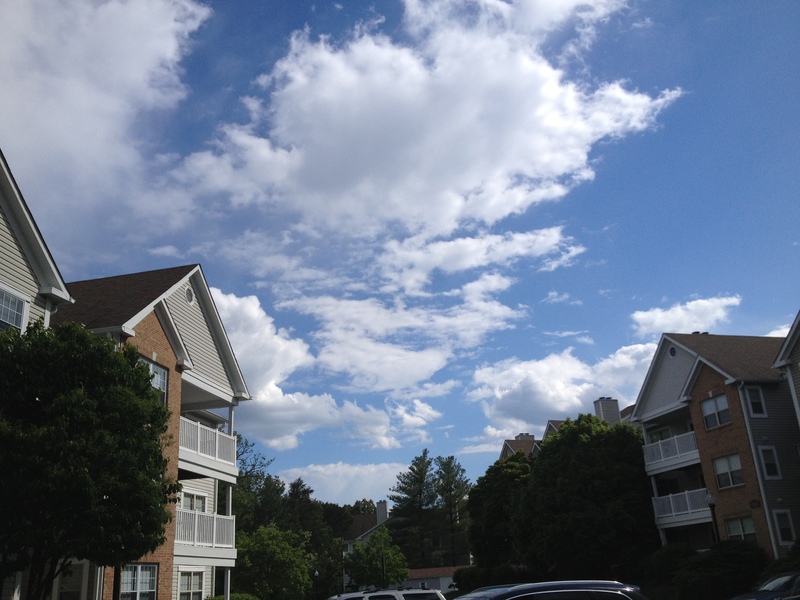 Vibrant, blue skies of Centreville, Va., on Monday, May 13, 2013. Photograph was taken by my iPhone 4S. HAIKU: Crying without sound … That insidious C-word … In this together. Tags: concern, Innervisions, optimism, positive, Stevie Wonder, Worry. Bookmark the permalink.